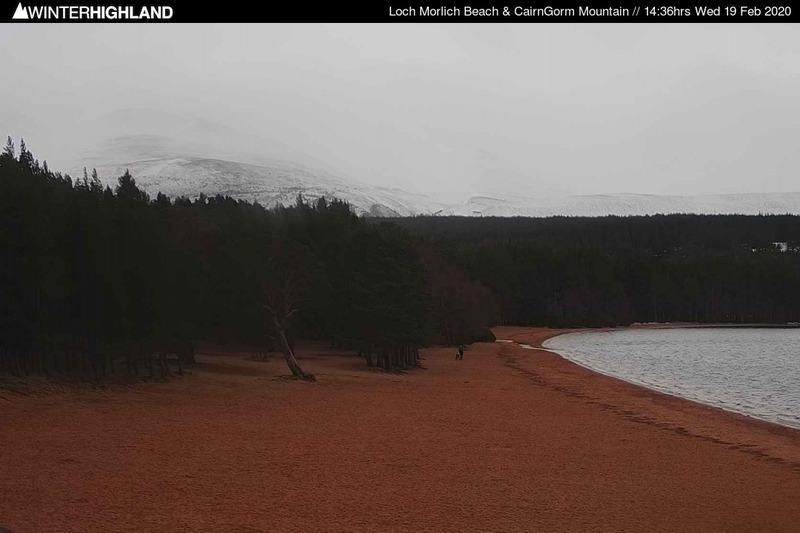 Estimated Sunrise on CairnGorm Mountain today is at 05.44hrs and Sunset at 20.41hrs. This camera operates from infrared first light till shortly before visible dusk. CairnGorm from Loch Morlich. First image approx. 05.04hrs. Last image at 21.01hrs.